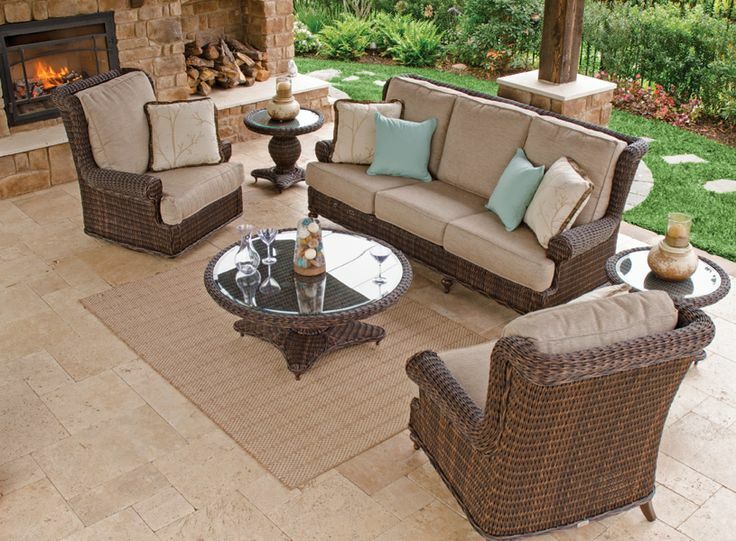 When it comes to outdoor living, there are countless reasons to invest in comfortable and practical furniture. Outdoor living areas are spaces you want to be able to relax in while also impressing any guests you may have, and outdoor wicker furniture is perfect for this. At first, it might seem like an excessive cost, but there are several techniques you can use to furnish for less. Knowing what the furniture will be used for is the key here. If you have young children and you know they’ll be climbing all over the outdoor wicker furniture and putting it through its paces, don’t buy something with ornate and delicate designs. Look for something sturdier and know what you need. At the same time, be prepared to compromise on your plan. You may have decided you want a three seater outdoor sofa, but purchasing two of the two seaters may be cheaper. Consider whether you can rearrange your plan to suit what’s available. Outdoor wicker furniture is often available in sets as well as individually. Research what you want to purchase and see if there’s a similar set available. This may mean compromising on an aspect, but it could also mean finding great value. Look into how much the pieces cost individually to compare the prices. If there is no discount, or if the amount is minimal, think about whether you need all the pieces and consider buying just what you need individually. Buying in a set also means all your pieces will match and you can furnish your home with attractive, classy and stylish outdoor wicker furniture. The last thing you want is an outdoor living area that looks like it’s been slapped together with second hand furniture you found at a second hand store. When you’ve purchased your outdoor wicker furniture, you can save a considerable amount on long term maintenance by investing in fabric protection for the cushions. This means you won’t have to replace them and they’ll be protected from weather related damage as well as spills and stains. This also makes them incredibly easy to clean, as they can just be rinsed off. Synthetic wicker shouldn’t require any additional protection, as it’s constructed from weather resistant materials and can stand up to water damage. This makes it a great long term investment. Most outdoor wicker furniture will last a lifetime, meaning you won’t have to spend money on new furniture anytime soon. If you have a desire for real outdoor wicker furniture rather than the synthetic alternative, you will have to spend more. Both the initial cost and ongoing maintenance will put you further out of pocket, so you may want to consider whether the look can be replicated with resin. If you have rowdy children, it might also be worth spending an additional amount for a sturdy metal frame that can’t easily be broken.